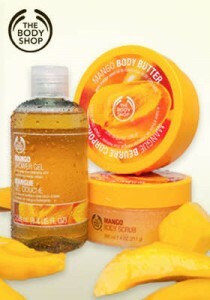 Starting today at The Body Shop, you can get 40% off everything on the site when you use coupon code AUTUMN40. Choose from gift bags, body wash, lotion, body butter, make-up and more! This coupon code is valid from 10/11 through 10/15. During the entire month of October, you can use the coupon code OCTOBERISH to get $20 off your purchase of $60 or more. Take a look at the Fair Trade section that has Buy 2 Get 1 Free deals and Buy 1 Get 1 50% Off deal. Some of the items like hand sanitizer start as low as $2!! This is a great time to stock up for gift baskets or stocking stuffers for the holidays!